DataTheft Au: Data Theft - Once you know, it’s too late! Data Theft - Once you know, it’s too late! We have progressed to a near fully digital work environment. Any employee with some computer knowhow has the potential to find themselves in a folder they should not be in and taking information out of it. 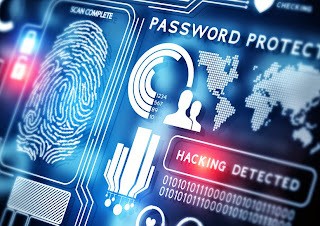 The reality is, even if you have a sophisticated security, monitoring and tracking system in place across all the computers and mobile devices in your business, you are unlikely to be able to prevent an employee, partner, consultant, or contractor stealing your data. Big companies spend hundreds of millions of dollars to protect their data and they can’t even stop it. Job function more often than not requires you to provide access and even limited access won't stop a determined thief. So there’s little chance that SMEs will have the resources or access to knowledge about what they can realistically do. So, the real issue in relation to data theft is to do the best you can to make it harder for someone to steal your data because you are unlikely to find out until it’s too late. And less than a minute after an event is too late. Data can be copied by an employee and gone from your business in literally seconds. A top sales person could take all your business leads and customer contact details to use when they commence work for another company. You might not find out about this until some of your existing customers don't renew their spend with you or when a good customer calls to let you know an ex-employee is trying to win their business. An agent in your real estate business make take client and or rent roll information and the like and either set up on their own or, more likely move to a competitor. 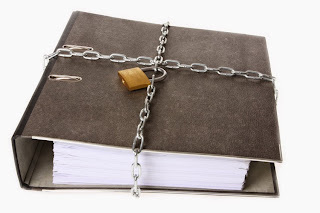 A doctor or other health professional in your medical practice, who requires access to patient files as a part of their job function in fact by law has to have access, could copy all the information in the patient files, leave your practice and take your patients with them. When would you know? When he doesn't turn up for work the next day to see a waiting room full of patients? Or will it be a patient contacting your office about a change of address text or email they received 5 minutes after the doctor left your center after days work. The value of Patients contact information is often underestimated. To an identity thief it is the most valuable of all personal data. Contractors and employees have walked away with their employers patient data just before their months pay was to hit their bank account. Why wouldn't they wait until they got paid before stealing the data? Because an opportunity to steal and leave with a valuable customer list presented itself and was worth risking not getting their pay. A common response from all the above is that it’s illegal, the information is the company’s/firm/practice. Firstly its not illegal in Australia for an employee to steal data and do you really think the person stealing the information cares? In fact they probably feel entitled to some if not all of it. In a recent case a Chiropractor not only stole the contact information of patients he had treated he stole all of his work mates patient contact information as well, 10's of thousands of patients were effected. This ethically challenged individual provided a hacker with his login to get past the levels of security that had prevented him being able to even see let alone copy patients contact details. Now this would have to be illegal! You think! In Australia even this act of fraud is not illegal. How long had he worked for his employer? Over 12 years. Ah, people say, we have non-compete clauses and other restrictive covenants and we can sue the person for theft, our clients/patients/customers would not leave. Guess what? Have you ever tried pursuing someone through the courts in relation to a breach of confidence, non-compete clause or theft? I have. It costs 10's of thousands just to launch an action and you won't get any change out of another hundred thousand dollars (very likely more) to run a case that may take between 1 and 4 years to get through the court process and then the outcome is not at all certain. And guess what? The thief can ask the courts for you to provide surety over their costs and damages. In many cases and particularly in the health industry the theft of customer data has already affected your cash flow, you are not covering your business expenses and now you are having to fund a protracted court action. You can stop the thief using your data immediately with an injunction the lawyers will say. You can of if you've got a lazy $80k lying around. Add at least another $50k for surety over the thief's costs. This is big end of town stuff, small business cannot possibly afford these types of actions. Meanwhile, under a new privacy amendment introduced in 2014 you as the business owner could also be liable for a hefty fine from the Privacy Commissioner and soon it may also be compulsory to notify every one effected by the theft, a huge resource taxing task on its own. The employee who stole the data in the first instance is not covered by the amendment or any other part of the Privacy Act. Yep, that's right they get away scot-free. You can blame ex Labor minister Ms Nicola Roxon and her bureaucrats for that added kick in the guts. In an earlier post I described what happens when you notify your customers their personal data has been compromised. Your phones will run off the hook with customers ringing to see what information the thief got and most of the callers will be abusive because to them it was the company that didn't protect their information. Its a fickle world out there in consumer land. Many customers will follow the theif and many others will leave because you have bad security. If you couldn’t keep their records safe the first time round why should they trust you. On top of all this if your business has been the victim of data theft you are also now facing another reality, particularly if you öwn a medical practice, "copy cat theft". I will cover this in a future post. There are some things you can do to minimise the risks through employee contracts and your privacy "agreement" with customers. There are also things you can do using off the shelf security products and monitoring staff behaviour. I'll also be covering some these in future posts. Experienced data theft in your business? Send us Your Story.